From the PPC Reports segment, select Ultimate Google Ads Report and click on the Create button. Connect your Google Ads account by clicking on any widget that has “Set Data” on it. If you don’t have any Facebook Ads accounts connected, add one by clicking on the + button, or on the hyperlinked “here” text. 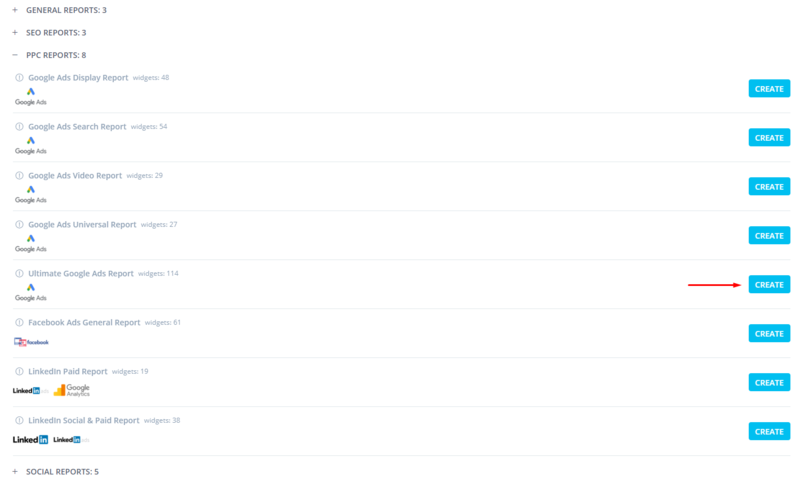 Now, insert Custom Account Name (though this isn’t really crucial for the process). Name it something like “Google Ads Client Name” and click Submit. After connecting your Google Ads account, select that Custom Account Name you’ve added. Select your Integration (Custom Account Name) and your Ad Account. 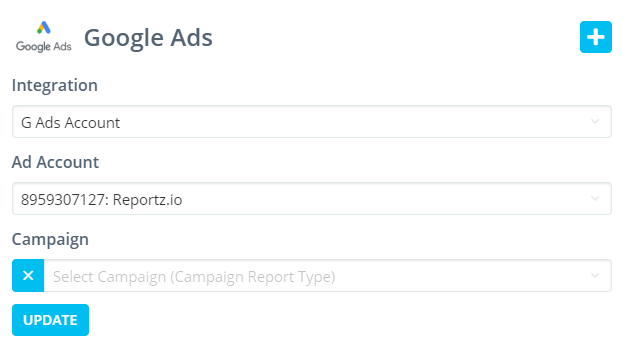 If you wish to show the results for the overall Ad Account, leave the Campaign segment blank. Click on Update, and all of the Google Ads widgets will be automatically refreshed and updated. After connecting your source, we recommend adding your own logo, as well as your client’s.